Beautifully designed sterling silver ring. 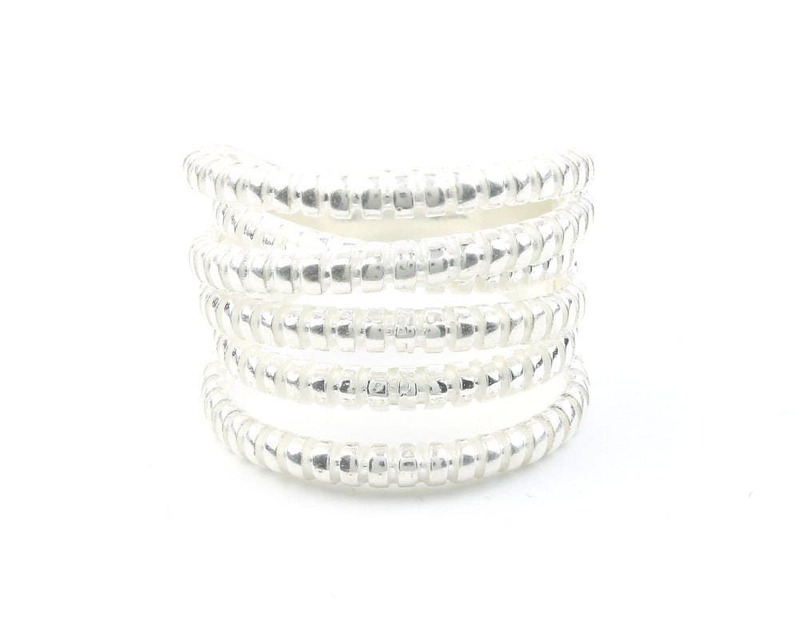 Lovely textured bands of varying heights. Gives a unique look with the alternating silver bands sitting high above the finger.